I cannot delete Desktop Explorer icon. How do I get the Desktop Explorer icon off of my windows desktop? This is neither windows explorer nor M$ internet explorer!! Pseudo-desktop function to your PC. 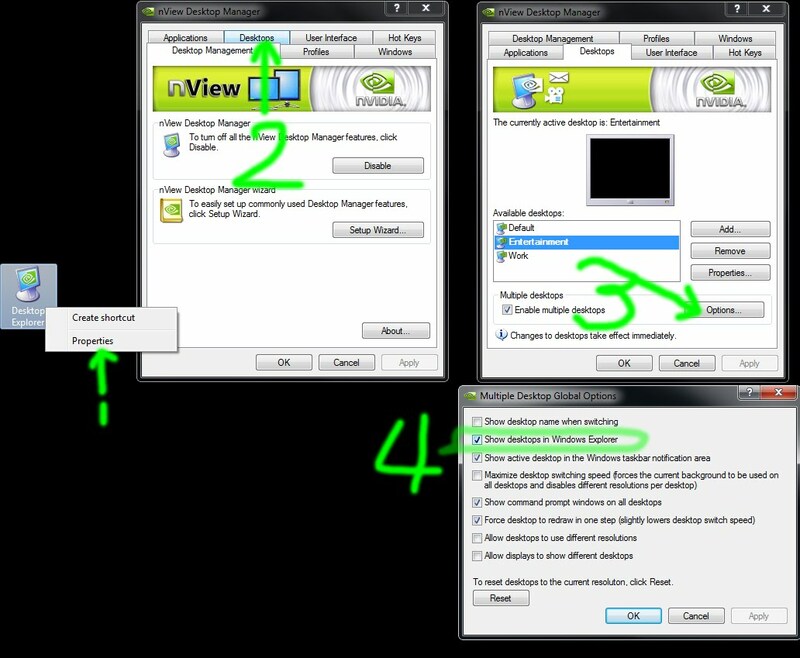 The problem came from the use of nView multiple desktop function. To get rid of the icon..
1. Right click on it and left click on "Properties" to open nView Desktop Manager. 4. Uncheck "Show desktops in Windows Explorer"
That's it, Ok, Apply, Close.... etc.